From humble beginnings, Jane’s Roses has grown into one of the most trusted flower shops in the city. Over two decades they have gone from a single florist to now having dozens of floral experts who cover around fifty weddings a year. Jane’s Roses keeps the number of weddings they do limited as they always want to provide the very best service possible to every one of their customers. Through this they guarantee complete satisfaction and ensure they always provide excellence. At Transformation Flowers they truly do transform your wedding from having bland décor to being something that your guests will always remember. Not only do they dedicate their service to your complete satisfaction but also make sure it is personalized to each client. 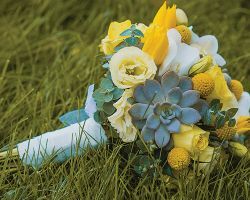 This means that they provide unique bouquets and arrangements for each event they cover and never use a cookie cutter approach to floral decoration. For your wedding blooms you will have peace of mind when you put it in the hands of Transformation Flowers. As a small family-owned and operated San Francisco florist, Elizabeth’s Flowers knows what is important to their customers. 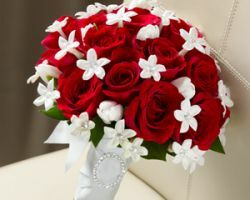 That is why they offer guaranteed on-time flower delivery in San Francisco and prices that will fit into any budget. No matter if you want your wedding style to be sweet and simple or be extravagant and colorful, this florist will have every flower combination you could possibly want. 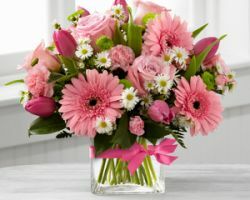 This even extends to more niche flower needs as they are able to locate and order anything you would like. A strong believer in supporting local growers throughout California, Hoogasian Flowers is the kind of florist that you can trust. They make sure they only order their blooms from the very best and most reliable sources. Once they have found you your ideal wedding flowers then they will work with you to create the perfect arrangement for your big day. They are able to provide bridal bouquets, flower girl arrangements and full centerpiece displays to make your reception celebration as bright and colorful as it should be. Two decades and a long list of celebrity clients have driven Désirée Flower to be one of the very best providers of flowers in San Francisco, CA. 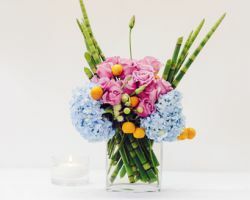 Their team believes that it is not enough to do what other florists provide, only putting together cheap bouquets of Spanish flowers or other colorful but simple blooms. Désirée’s team of talented designers brings a great amount of creativity and innovation to the flowers they arrange. It is important to have such a dedicated team crafting the centerpieces of the best day of your life. 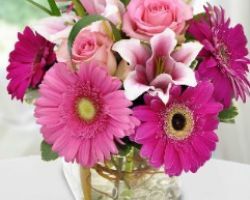 When you are searching for the freshest blooms and most reliable San Francisco flower delivery service, then you should look no further than Lydia’s Flowers. The team of floral experts is ready to assist you in all of your wedding flower needs. 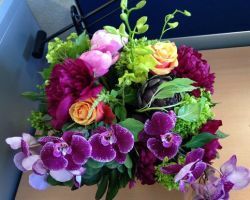 This ranges from assisting you with picking your color scheme to full-blown arrangements. You will be able to choose from their wide range of exotic and classic flowers as well as having access to priceless advice from their highly trained staff.